There hasn’t been alot of news on Intel’s desktop front after Skylake was officially revealed. However, now the good folks over at VR-Zone.com have posted pictures of the ES-1 Engineering Sample of a Skylake Processor along with some very very important information. Get ready for a shocker, because this one ain’t pretty. As you probably know by now, Skylake is the new architecture succeeding the die shrink that is Broadwell (which still hasn’t arrived yet). It will come only in two models, namely an i5 and an i7 variant. Both SKUs will have their multiplier locked, which means you can’t overclock these using the conventional methods. Now the source mentions that you can expect the processors sometime in Q2 2015, and recall that we have already told you that the month(s) to look forward to, are June and July. Interestingly Broadwell-K with the unlocked multiplier has not arrived yet, implying that it may arrive alongside or just before the Skylake processors. 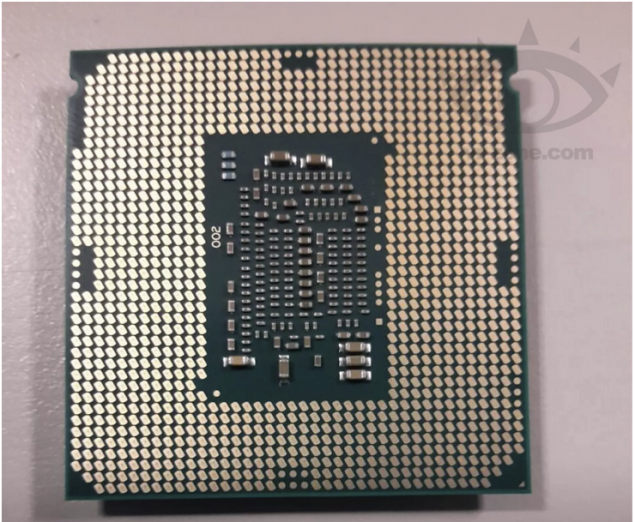 The socket is LGA 1151 and the mainstream chipset used will be Z170/H170. These will be coupled with the B150, Q150 and Q170 chipsets. However, the thing that literally (well, not really) shocked the socks off me, was the utterly disappointing stock clocks. The processors will feature a 2.3Ghz Core Clock and a 2.9Ghz Turbo Clock. Another configuration will have 2.2 Ghz Core Clock with an absolutely depressing 2.4Ghz of Turbo. TDP will be 95W and 80W respectively. Heed my words folks, If this leak is true, and I really don’t know what to think with this one, then Intel is engaging in a paradigm shift. I previously expressed my concerns in my analysis about Intel’s delays and this just adds to the pie. Intel is forcing any and all enthusiasts one generation behind the current architecture, and the HEDT enthusiasts one more generation behind. I assume the latest generation will be reserved for OEMs. Once again, if this is true then Intel is well on its way to becoming a monopolistic tyrant. Intel will release the Greenlow platform sometime in 2015 so we should definitely hear more about this.